Ultrafiltration reverse Osmosis Treatment by Ozone Pure Water Inc.
Ultra-reverse osmosis water filtration is among the safest and most sophisticated methods for purifying water available today. When it comes to having clean water, taking risks and using low-quality filtration systems can seriously endanger your health. Clean, safe water to drink, bathe and clean is essential, and with the availability of ultrafiltration water treatment systems, there is no reason to take risks with your water. Have cleaner water immediately with an ultrafiltration system. Among other high-quality systems, Ozone Pure Water offers ultra-reverse osmosis filtration systems that extract all toxins and bacteria from your water. Our system eliminates particles like metals, chlorine, and bacteria by using ultra-reverse osmosis which employs high pressure to push the water through a multilayered membrane filter system. Ozone Pure water uses the process of ultra-reverse osmosis combined with ozonation to fully purify and sterilize your water supply, and get rid ofbad smells and tastes.By using the ultra-reverse osmosis system, along with multiple other ozone water treatment systems, your water will be completely filtered and rid of contaminants. 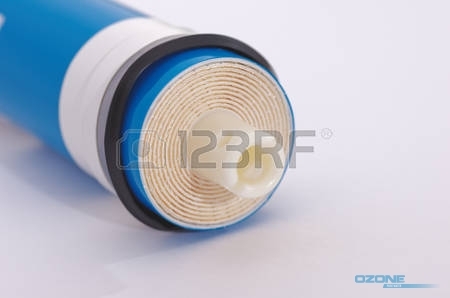 The semipermeable membrane used with ultrafiltration water treatments also filters sediment, trapping larger particles before the reverse osmosis process. There is also a carbon filter used to trap chlorine and other chemicals, and ultraviolet light to eliminate any microbes that escape filtration. This provides the highest level of cleanliness and sterilization for your water. bacteria, viruses, metals, and microorganisms before they reach your tap. Contact Ozone Pure Water Inc. today by calling 1.800.633.8469 to learn more about ultrafiltration water treatments. Updated on November 2, 2018 at 4:07 pm by Ozone Pure Water.